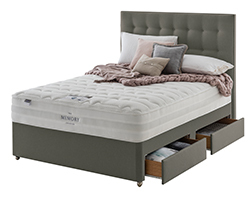 Upgrade to a king (150cm / 5’) from a double or super king (180cm / 6’) from a king size bed or mattress and your discount will be automatically deducted. 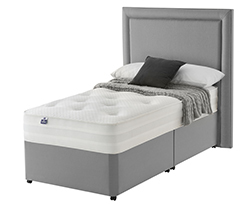 To save 10% on single (90cm / 3’) and double (135cm / 4’6”) mattresses and divans, use discount code BUCK10 at the checkout where your discount will be deducted. 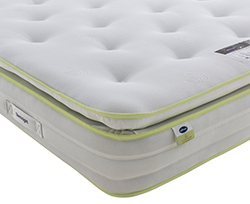 Applied to all mattresses excluding Essentials, Studio, Mattress-Now, Kids and Baby Ranges. 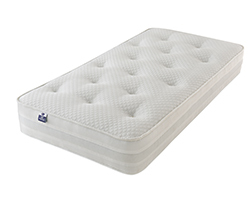 Silentnight reserves the right to refuse to remove the mattress and/ or beds if they or their operatives consider it would be unsafe and/ or hazardous and/ or if they cannot easily enter or access the premises.